Between computers, smartphones and tablets we are literally surrounded by screens nowadays. It may therefore be natural to assume that even a safe must have its own small display. Indeed, one might consider that the presence of the display is an index of the quality of a safe, or at least of its technological content. In reality, however, the presence of a display is not always a good sign. 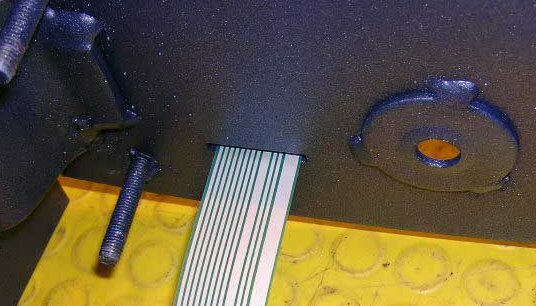 The problem is that in order to apply a display it is necessary to drill additional holes in the door for it to be attached and for the passage of the connection cables to the electronic card. These holes, as well as those for connection (flat cable) between the keypad and card may constitute, if not adequately protected, a weak point in the door and therefore of the safe. Thieves could use them to gain access inside the door and tamper with the locking mechanism. To avoid this risk, good quality safes adopt several countermeasures, such as the use of shatterproof steel guards on the back of the display. These countermeasures obviously have a cost and are not generally included in very low cost models. An example of a hole for passage of the connecting cable to the electronic card which is not adequately protected. The presence of a display on a very low cost safe should therefore raise a mental alarm regarding the overall quality of the product. Generally, they are models derived from the safes used in hotels, where the display is actually useful, as different levels of codes must be managed, including the ones used by the guests which change almost daily. 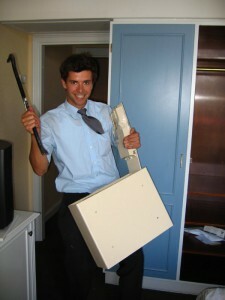 But hotel safes must guarantee frequent use and a low cost, as they are purchased in batches of tens or hundreds. Their aim is to deter a theft of goods rather than to prevent a burglary, and they are far less secure than those designed and made for household use. For this reason it is not recommended that they be used in homes, where a thief could potentially act in a more undisturbed manner than in a hotel. Even the good quality hotel safes, despite being much more reliable than the low cost ones, are made taking into account needs different from that of ensuring maximum security. Purchasing a hotel safe for home use, thinking that one is saving money, it is therefore not a good idea. Hotel safes are constructed taking into account specific functional constraints: for this reason, they are less robust than those for domestic or professional use (photo by flickr/fionab). 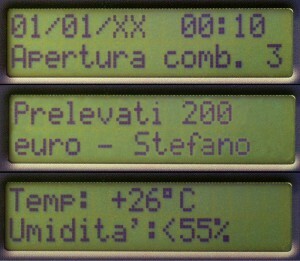 indicating the temperature and humidity inside. 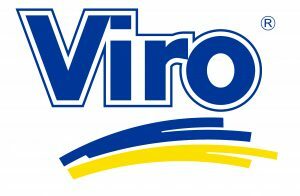 The displays of Viro electronic safes allows the use of advanced functions. 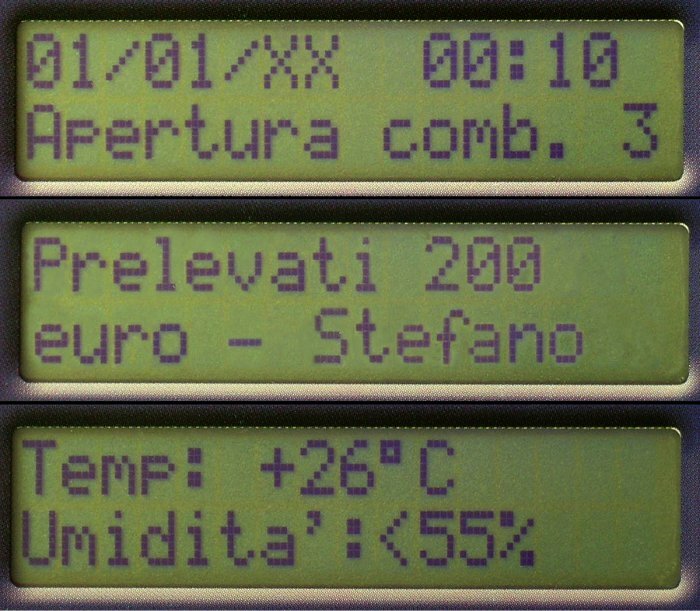 Many low cost products are equipped with a display just to show the code entered. This service is of limited use and is not worth the increased risks from a security point of view. It is a different matter for top-of-the-range electronic safes, where not only does the display not pose any security risks, because all necessary precautions have been adopted, but its presence is also used to provide the user with various advanced services. It is then up to each individual to determine whether they are services which satisfy personal needs. It is important to keep in mind that a safe is not a mobile phone. Its main purpose is not to communicate, but to be as resistant as possible to attacks. This entry was posted in Safes and tagged tips on 8 October 2014 by Mara Rossi.